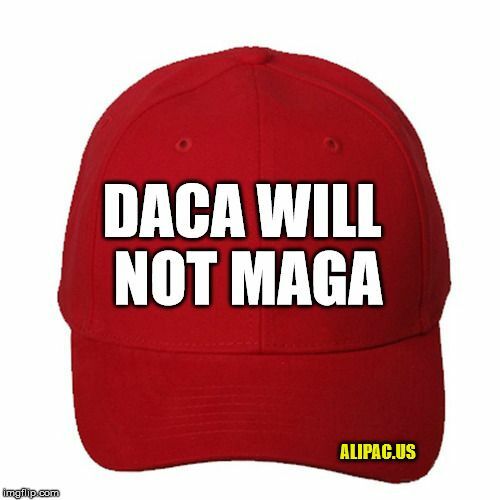 ALIPAC's creation of a Trump style red hat that reads DACA Will Not MAGA! Circulated on Social Media evening of Jan 27, 2018. Last edited by ALIPAC; 01-30-2018 at 10:45 AM. It's a great message, Alipac. Thanks! Do you think DACA Will Not MAGA sounds best? Or is DACA Is Not MAGA better?